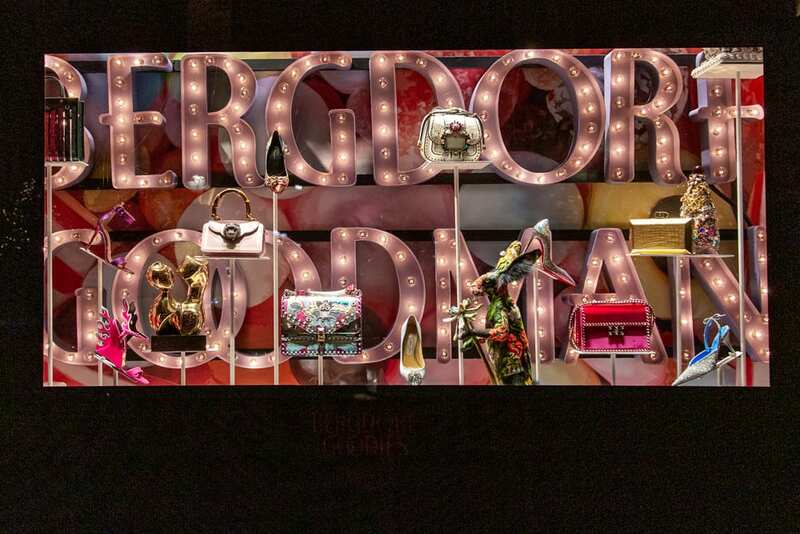 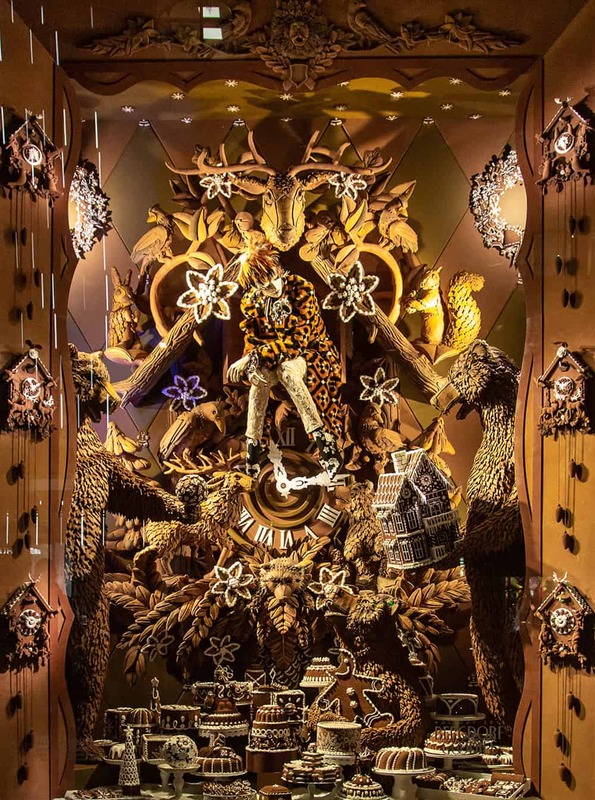 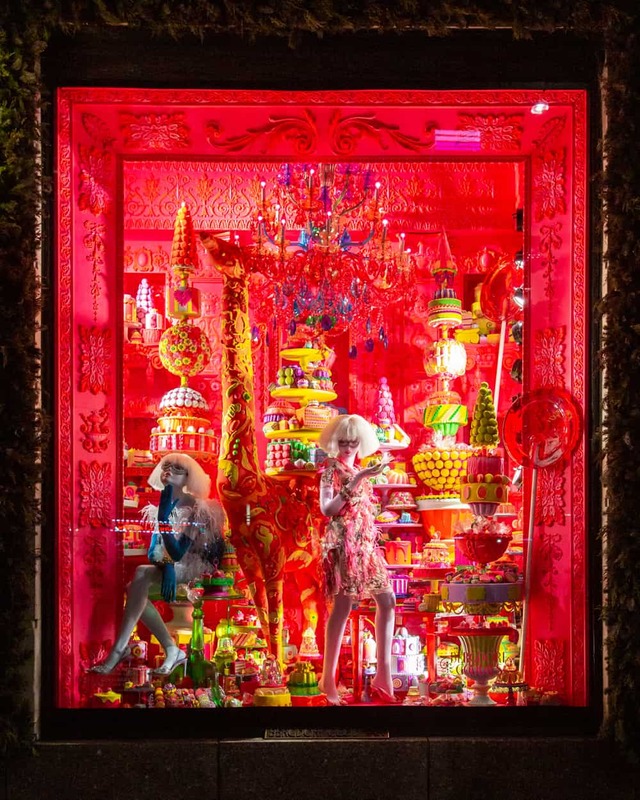 Each of the seven main windows in the women’s store took a different sweet treat as its inspiration. 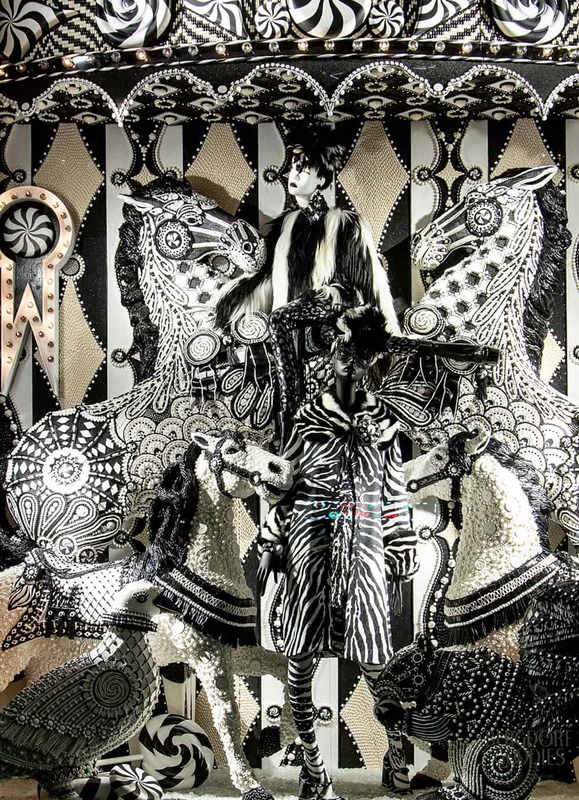 Fashion by Mary Katrantzou and Naeem Kahn. 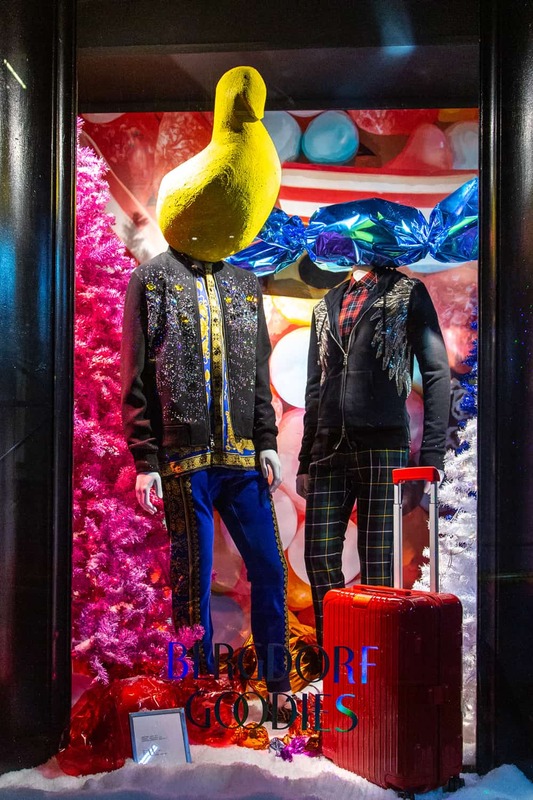 Fashion by Dolce & Gabbana, Tom Ford, and Libertine. 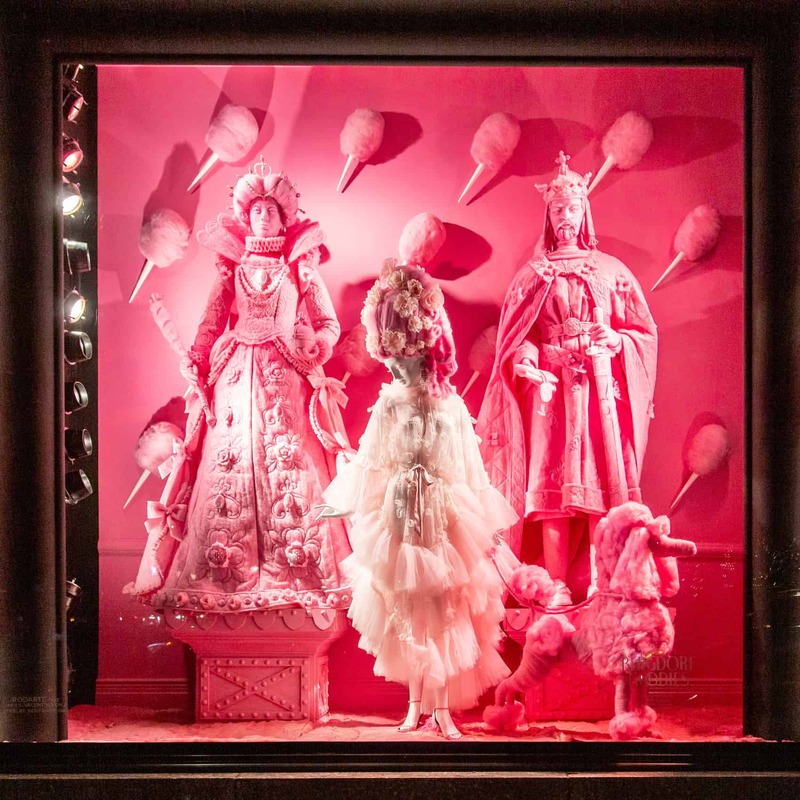 Fashion by Schiaparelli and Pamela Roland. 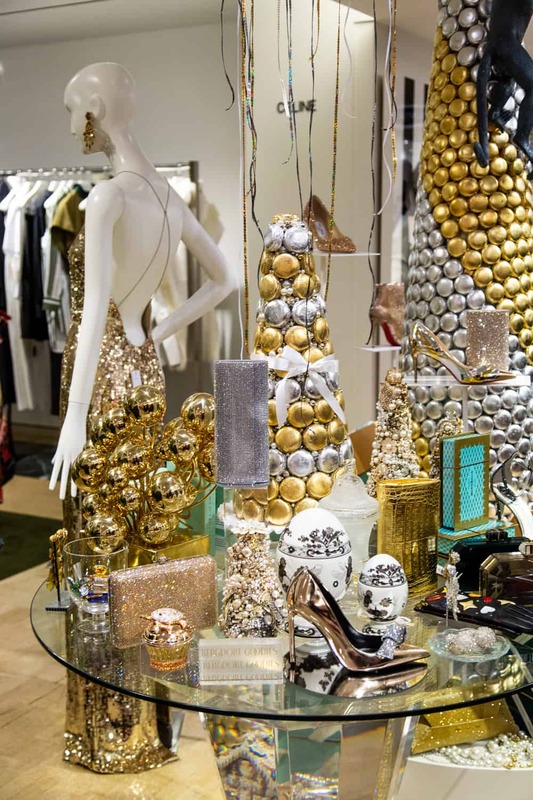 Fashion by C.D Greene, Carolina Herrera, and Alice + Olivia. 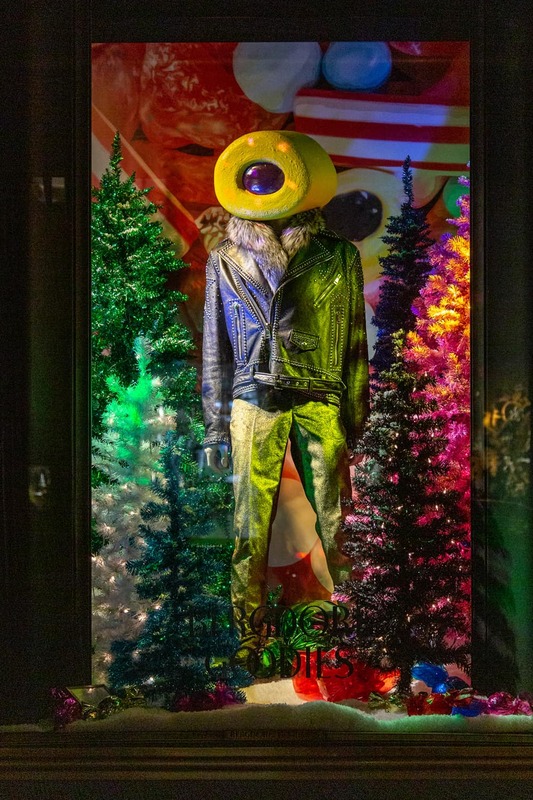 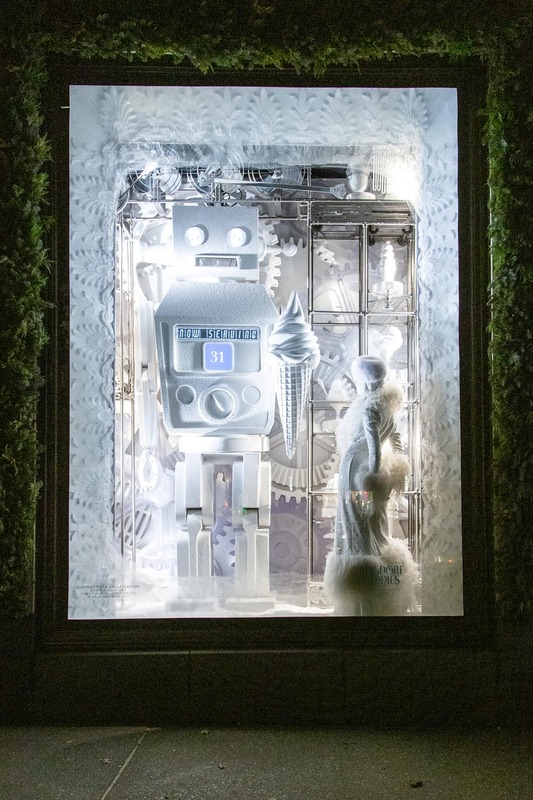 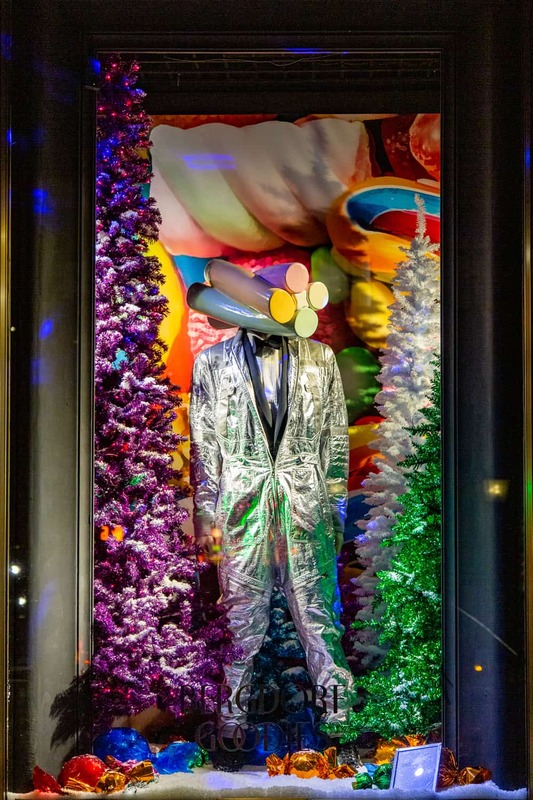 Meanwhile, across the street at the Men’s Store, windows designed by Bergdorf Goodman’s visual director, Shane Ruth, featured a playful assortment of mannequins with candy heads surrounded by rainbow tinsel trees and glittering snow. 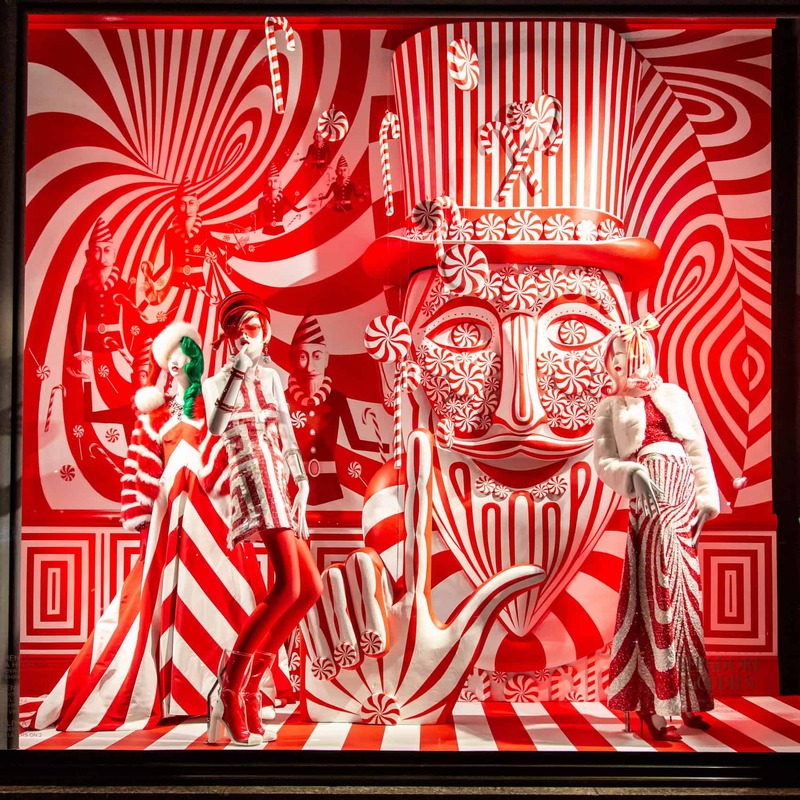 Inside the women’s store, candy cane stilt walkers greeted guests on the main floor as desserts and cocktails were served along with music by DJ Pamela Tick. 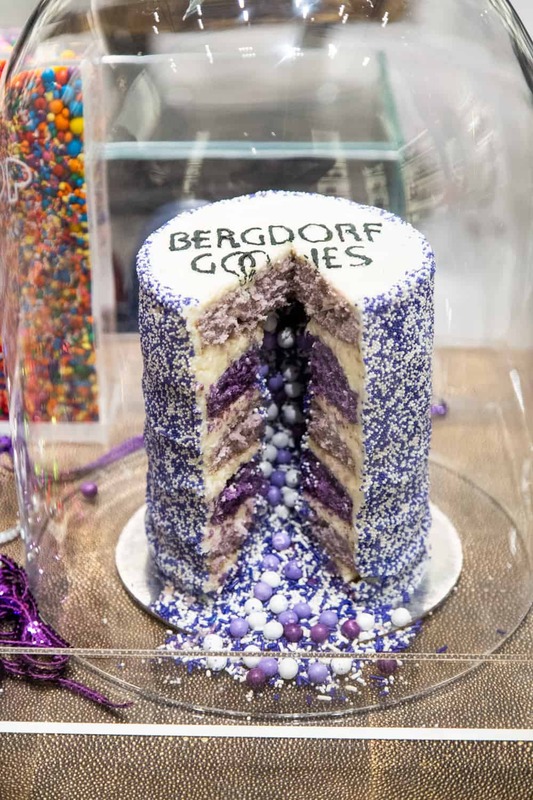 New York City Jewelry Week celebrated their inaugural season in the Jewelry Salon complemented by a variety of trunk shows from some of Bergdorf Goodman’s favorite designers. 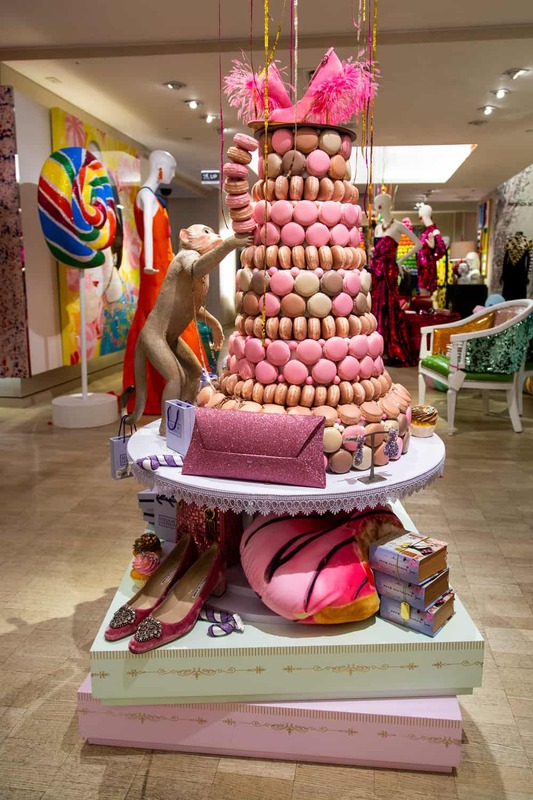 Shoppers explored the special holiday installation in collaboration with Ashley Longshore on the Third Floor, Flour Shop’s first ever pop-up on the Fifth Floor, and Linda Fargo’s limited-edition macaron flavors created in partnership with Ladurée at Noir on the Second Floor and Linda’s at BG on the Fourth Floor. 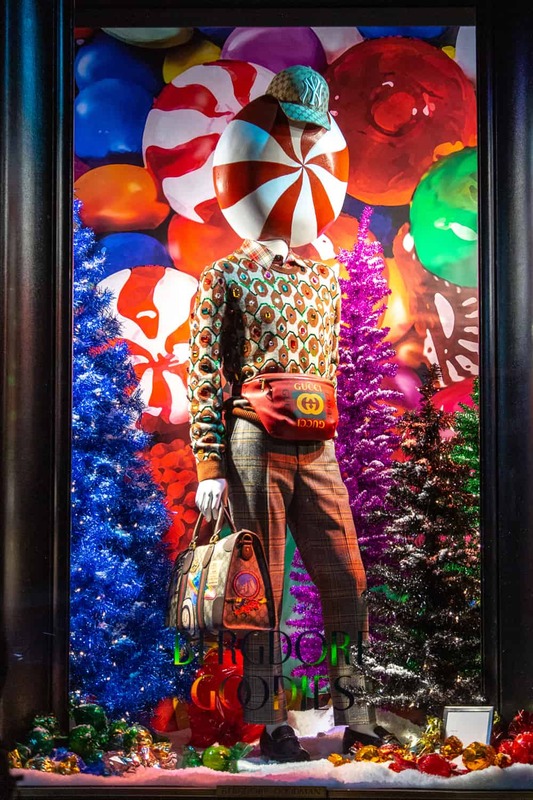 For a festive finale, carolers led the way up the escalators to the iconic holiday shop on the Seventh Floor. 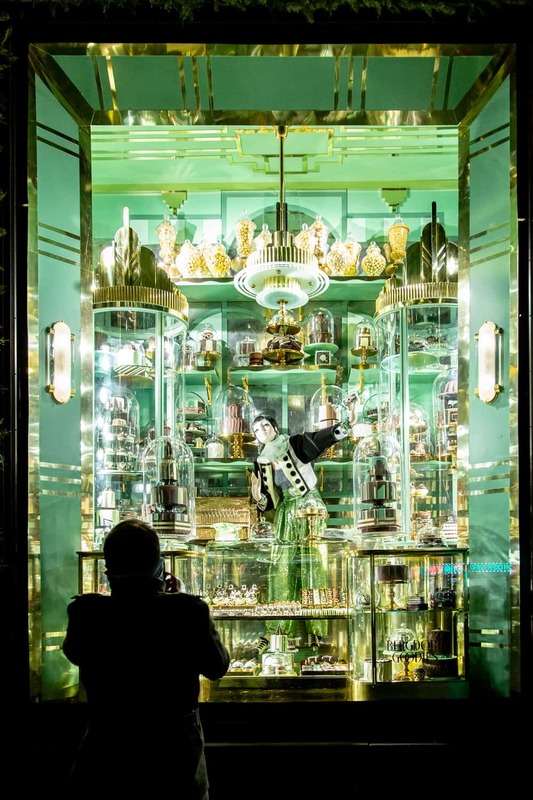 Talk about sweet!